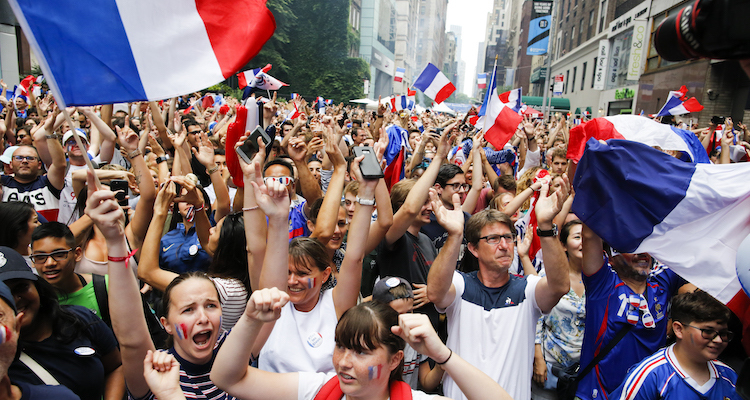 Cities all over the world held public watch parties for Sunday’s World Cup final between France and Croatia. But only in Philadelphia did the World Cup watch party turn into a Super Bowl re-watch party. The City of Philadelphia blocked off South Street so sports fans could watch Sunday’s big game. And they got a pretty big turnout despite rainy conditions. After the World Cup was over, organizers figured it would be a waste of a giant TV screen and a perfectly good event permit if they didn’t also show the Eagles’ thrilling victory over the Patriots in Super Bowl 52. So that’s what they did. And not surprisingly, a lot of fans stuck around to watch that too. All in all it was a pretty successful event that went over very well with Eagles fans.